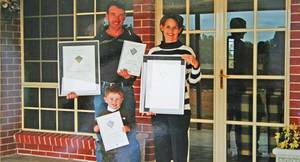 In 1996 we started our small family business doing repairs and extension for customers. We focused on listening to the customers needs and giving them a completed job that was above their expectations. In 2001 we designed and built our own home “Willona” in Roma and entered the home in the HIA Building Wards. This home won awards in many different categories. These awards can be viewed on our web site. This was the motivation for us to design and build homes. Being locals from this western region we understand the needs of local people and the district. Three different ranges of home designs have been developed to meet these requirements. We encourage every customer to have input in creating each home as an individual design rather than mass production as is common with larger building companies.